Sydney’s CBD office market remains one of the nation’s strongest markets as latest research reveals the harbour city's vacancy rate is the lowest in more than ten years. Vacancy in the Sydney CBD office market decreased from 4.8 percent to 4.6 per cent for the first half of 2018, according to the Property Council of Australia’s latest Office Market Report, as demand for office space in capital city markets continues to surge. Property Council NSW executive director Jane Fitzgerald attributes the low vacancy to withdrawals and robust demand, with exception to the A-grade office sector which recorded an increase in vacancy for the six-month period. “We continue to see very low vacancy for our CBD office market with the latest report showing 45,122sq m of withdrawals and 45,251sq m added over the period,” Fitzgerald said. Strong demand was seen in all grades of office space with a small vacancy rise recorded in A-grade office space. 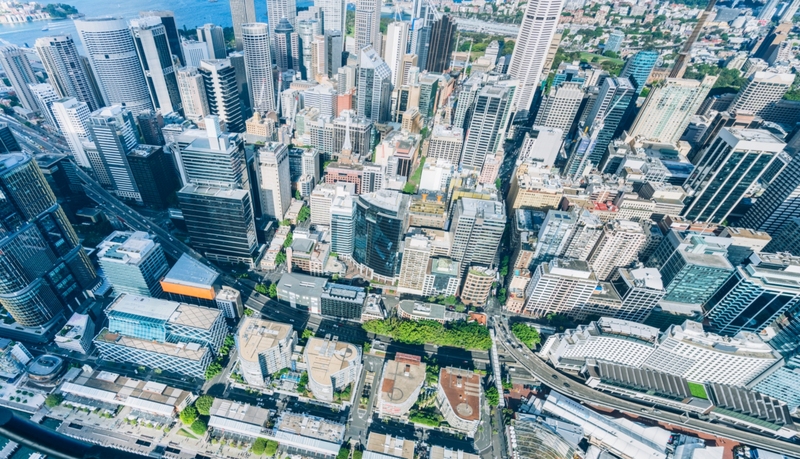 Savills Australia’s research diretor Shrabastee Mallik says there had been concerns leading commercial markets such as Sydney and Melbourne may have peaked. “When we consider forward-looking economic indicators, such as economic growth forecasts – particularly in the services and education sectors, which are key market-drivers for these markets – these fears would appear to be largely unfounded,” Mallik said. Savills NSW director for office leasing Rob Dickins says rising rents are bolstered by a large number of tech and IT firms centralising within the precinct combined with the arrival of co-working companies such as WeWork and Spaces expanding their footprint as significant occupiers of commercial space. Fitzgerald said NSW claimed five of the top ten markets with Australia’s lowest vacancy rates. Sydney’s second CBD, Parramatta, recorded a slight vacancy increase, rising from 3 per cent to 3.2 per cent for the period, due to a slew of “much needed” supply coming on line. “Parramatta continues to grow and develop, and we again see a very tight market in all grades of space– vacancy rates in B and C grade stock dropped again with a big drop in D grade stock,” Fitzgerald said. No new space is due to be delivered in Parramatta for the remainder of 2018, with 81,920sq m of space due to come online next year, and 116,922sq m in the pipeline for 2020 onwards.